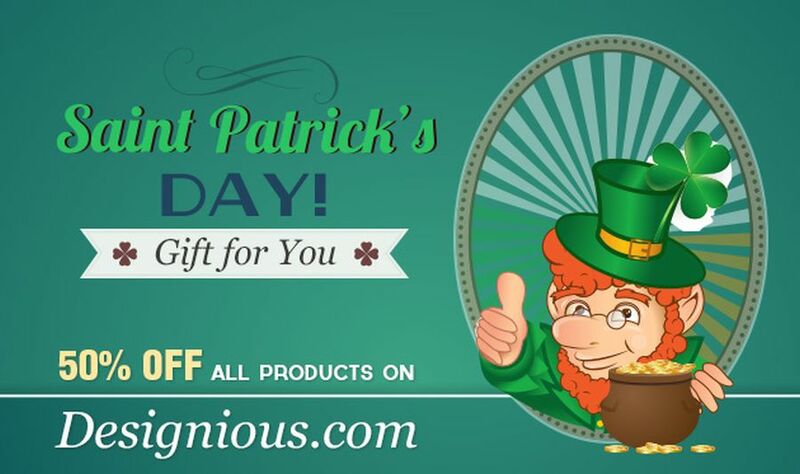 St Patrick’s Day is already here and most of us already got their green clothes and preparing for a pint of Guinness. The people behind Designious too got their “Kiss Me, I’m Irish” t-shirts, even though they don’t have a single trace of Irish blood. And that’s because we all have reasons to celebrate. 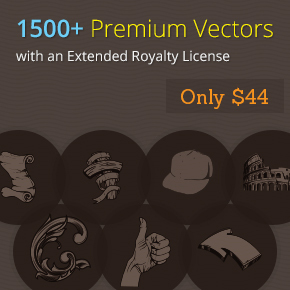 Looking for some incredible prices on premium vector graphics? 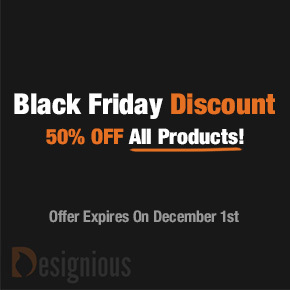 Designious.com is having an incredible Black Friday Discount with 50% off any product available on their website! The discount is already applied, so you don’t have to worry about coupons or anything else. There will always be something fascinating about skulls. I’m not sure what – but it definitely gets one’s attention, especially in the design world. 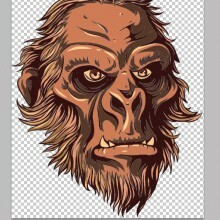 But just as any other design resource, vector skulls must be flawless. And this is where the guys from Designious come in. 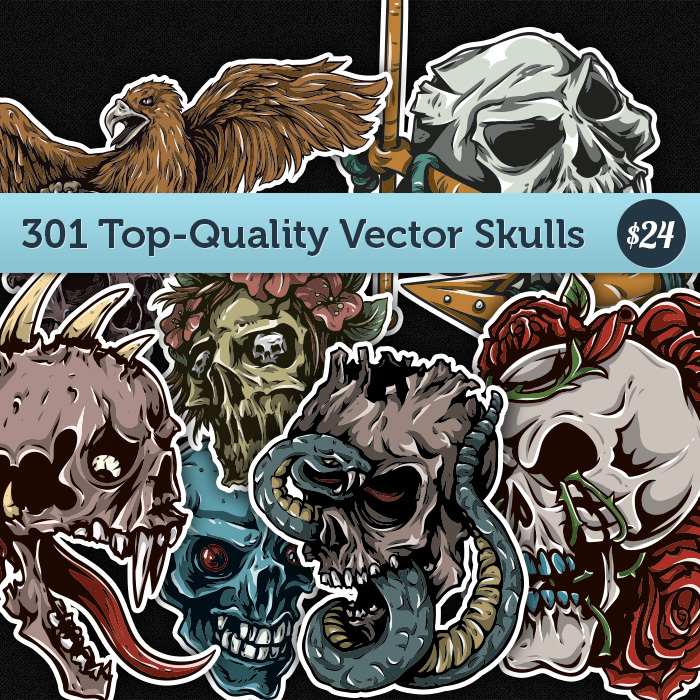 They came up with a fantastic collection of 301 different skulls, ranging from human skulls, devil skulls, alien skulls, or pretty much any type of skull you can think of! 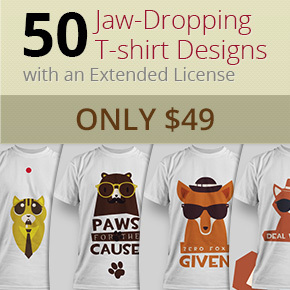 Are you looking for some professional t-shirt designs but don’t want to spend a huge amount of money on them? Or you simply don’t have the time to create some from scratch? Well, this is your lucky day, because we’re here to help you. Our sister website, Inky Deals and the guys from Designious – one of the leading figures in the industry, came up with a new amazing collection of 50 premium t-shirt designs! You’re well aware of how important is to have a large collection of design resources at your fingertips. 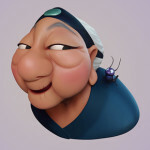 They save you tons of time and can even give you inspiration when working on a project. But setting up such a collection is pretty tough; these resources can be quite pricy and you can never be sure how good they are.